Although the integration of personal and social responsibility is evident in the mission and value statements of colleges and universities across the nation, the development of faculty values, beliefs and attitudes for a shared and intentional practice of global learning is not prescribed in higher education and may not be evident in student learning experiences. According to Edmund Gleazer (1980), community college values, vision and mission aim, “To encourage and facilitate lifelong learning, with community as the process and the product” (p.16). Gleazer (1980) explains we are characterized by our adaptability, our ability to maintain a continuing relation with learners, and our community orientation (p.15). The mission of Mesa Community College includes empowering individuals to succeed in our local and global community. The College values individual student success, high academic standards, cutting-edge instruction, meaningful relationships and active citizenry that embraces the diversity of people and ideas (Mesa Community College, 2017). Both the mission of community colleges and consistency of performance patterns among ethnic groups across various indicators of achievement present the unique opportunity for our institution to engage in an intentional practice to serve all students well. Faculty and staff at MCC are invited to elevate inclusive practices through culturally responsive caring, communication, curriculum and instruction. Culturally responsive caring is proposed as a value, an ethic, and a moral imperative that moves “self-determination into social responsibility and uses knowledge and strategic thinking to decide how to act in the best interest of others. Caring binds individuals to their society, to their communities, and to each other” (Webb, et al. pp. 33-34). Culturally responsive caring progresses with high expectations balanced with instructional scaffolds to make content accessible and comprehensible to culturally and linguistically diverse students. Educators with high self-efficacy for teaching demonstrate persistence with innovative, inclusive techniques that encourage academic achievement for all students. Geneva Gay (2010) describes the use of language by instructors: to make assignments, give directions, explain events, interpret words and expressions, justify decisions and actions, make promises, disperse praise and criticism, and assess capability. She explains a correlation between student performance and effective communication by instructors (p.78). The diagram below captures communication patterns among many culturally and linguistically diverse students. Gay (2010) suggests that students most traditional in their communication are more likely to encounter obstacles in academic achievement due to a mismatch in communicative school norms (p.77). Jones and Shorter-Gooden (2003) remind us, “Voice is the literal expression of one’s identity, the echoing of the self. If you can’t talk about what you believe in a way that feels natural, you can become alienated from your inner self. You’re no longer able to express who you truly are” (p.98). Geneva Gay (2010) suggests that there are flawed areas of textbooks still including (1.) an imbalance across ethnic groups of color, with most attention given to African Americans, (2.) bland, conservative, conformist and “safe” ethnic issues, (3.) gender and social-class disparities within the representations of ethnic groups, and (4.) inconsistent discussions about ethnic groups across time with contemporary issues overshadowed by historical issues (pp.130-131). Gay (2010) suggests that instructors develop the habit of using other resources to complement or even replace textbooks. Due to the fluidity and accessibility of mass media, instructors might also teach students how to analyze media for racial and cultural stereotyping as critical consumers of what they see, hear and read. Mikander (2016) encourages students to ask critical questions “to challenge the ruling assumptions of global inequity as something nearly static” (p.76). 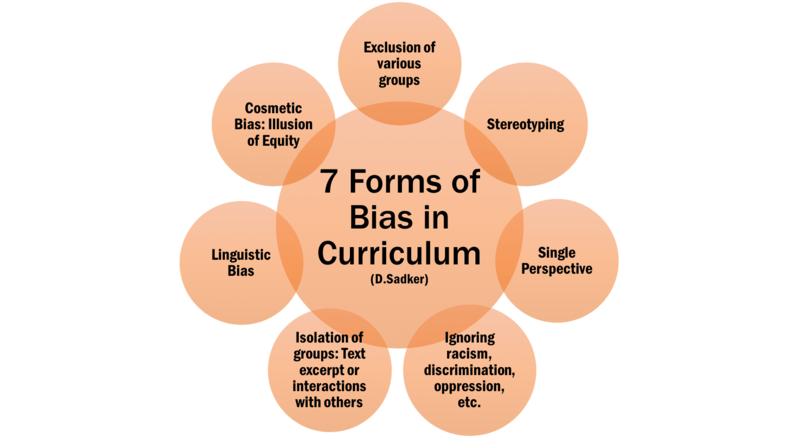 A lens of critical global citizenship causes students to question their own role and the role of their own society, including the content of their education, in the reproduction of inequalities. There are dimensions of learning by which students habitually use for cognitive problem-solving and demonstrating understanding. 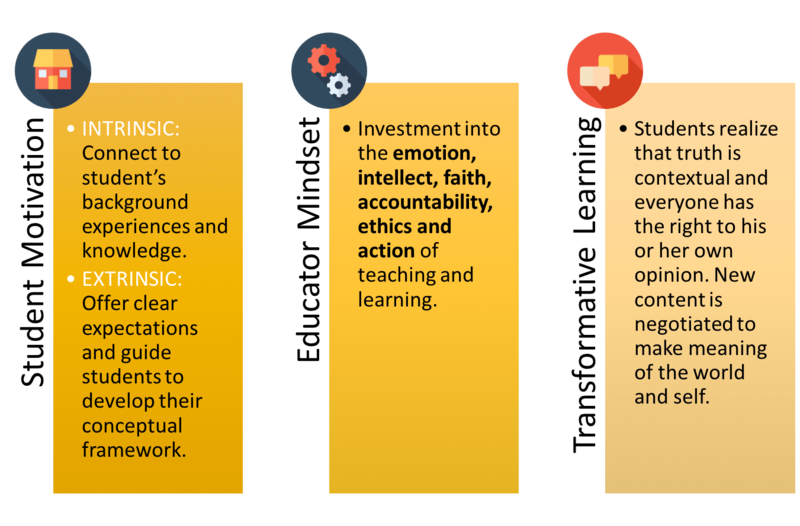 The interactive composite of these dimensions should be considered for designing culturally responsive instructional practices and spaces. Geneva Gay (2010) describes a range of opportunities for each learning style dimension. 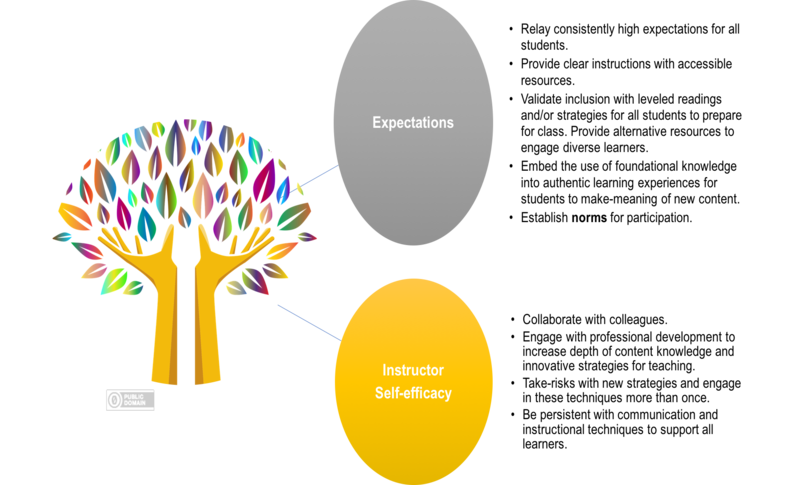 Since the range is wide with each dimension, the craft in teaching is to model and practice a variety of techniques to both encompass individual preferences and broaden the scope of these dimensions for all learners. Procedural: Preferred ways of approaching and working through learning tasks. This includes preferences in pacing, predictability, structure, active learning, task-direction, sociality, direct teaching and inquiry. Communicative: The organization and sequence of thoughts conveyed in spoken and written forms and characterized by discourse techniques such as topic-associative and storytelling versus passive-receptive and reporting. Substantive: Preferred content, depth of knowledge, topics and subjects, and range of cognitive processing such as memorizing, applying, comparing and creating. Environmental: Preferred physical, social and interpersonal settings for learning. Organizational: The structural arrangements for work and study space both physically (reflected in the environment) and procedural (evidenced by work flow and tools for cognitive recall). Perceptual: Multiple sensory modalities for receiving, processing, and transmitting information. Relational: Interpersonal and social interaction in learning including formality, competition, cooperation, independence and locus of control. Motivational: Preferred incentives to energize learning including individual accomplishment, competition, cooperation, harmony, image, integrity and rewards (pp.179-180). Geneva Gay (2010) explains that students of color that are more traditional in culture demonstrate a high value of human connectedness and collaborative problem-solving (p.187). Sometimes this is a value to the collective voice of the group, tendency for performance-style of communication or to establish harmony. Although cooperative learning is conducive to the learning and communication styles of many students of color, instructors should not assume that students (or themselves) automatically know how to do cooperative learning. Gay, G. (2010). Culturally responsive teaching: Theory, research and practice (2nd ed.). (J. A. Banks, Ed.) New York, NY: Teachers College Press. Gleazer, E. J. (1980). The community college: Values, vision & vitality. American Association of Community and Junior Colleges. Jones, C., & Shorten-Gooden, K. (2003). Shifting: The double lives of Black women in America. New York: Harper Collins. Mikander, P. (2016). Globalization as continuing colonialism: Critical global citizenship education in an unequal world. Journal of Social Science Education, 15(2), 70-79.